Air Temperature Service LLC is proud to serve the Westborough community! About Westborough, MA - Happy to be your hometown Heating & Air Conditioning Contractor! Westborough, MA is a town located in Worcester County, Massachusetts. According to the 2010 census, the population was 18,272, and it was incorporated in 1717. Westborough is governed under a New England open town meeting system, and it is headed by five members of an elected board. Worcester County, including the town of Westborough, is part of a continental climate that includes warm and humid summers with winters that typically see snow, wind, and cold temperatures. 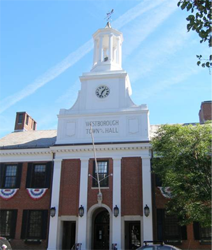 There are a variety of historical and other attractions available in the town of Westborough. The National Register of Historic Places lists several historical locations in the town, including the Nathan Fisher House, the Joseph Lothrop House, and the Jonah Warren House. Art enthusiasts may enjoy viewing the exhibits at The Westboro Gallery. Additionally, golf lovers can play 18 holes at the Westborough Country Club or Indian Meadows Golf Course.